Imported from a USA Bowtique (Handmade by my favorite designer). 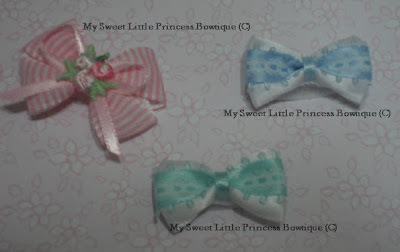 These are really cute and sweet, mini and light-weight - 1.5 inch wide each. For babies with really fine hair like newborns (it will not hold alot of hair).